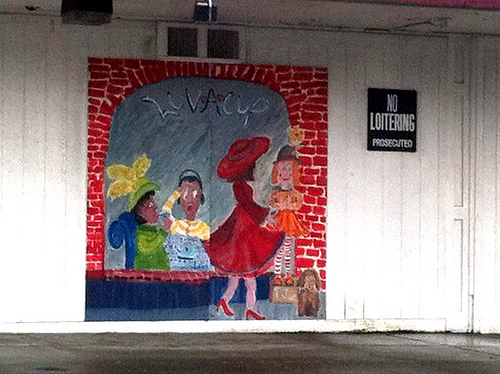 The Kellogg Sicker Building at 1112 – 1116 Martin Luther King Jr. Way isn’t the most welcoming of buildings. The 1906 building is named after the builders Frank G. Kellogg and Robert Sicker. Tenants over the years have included Essey & Macksoud Dry Goods, various physicians and dentists, Habid Nasser Dry Goods, Johnson’s Dry Goods & Clothing, Economy Drug Co., Geo. Clark’s Meats, Clark’s K Street Cash Market, Matsumoto’s Fruit Stand, Geo. Skaer’s Butter & Eggs, Fujimura Grocery, Nad Chemical Co., Anderson’s Grocery & Vegetable Market, Vic’s Market, Marshall-Wells Hardware, Coast to Coast Hardware, Cash Market, Marshall-Wells Store and Harold Meyer Drugs. Browne’s Star Grill relocated to this site in 1968 and operated there until September 2005. There is a great mural on the front. 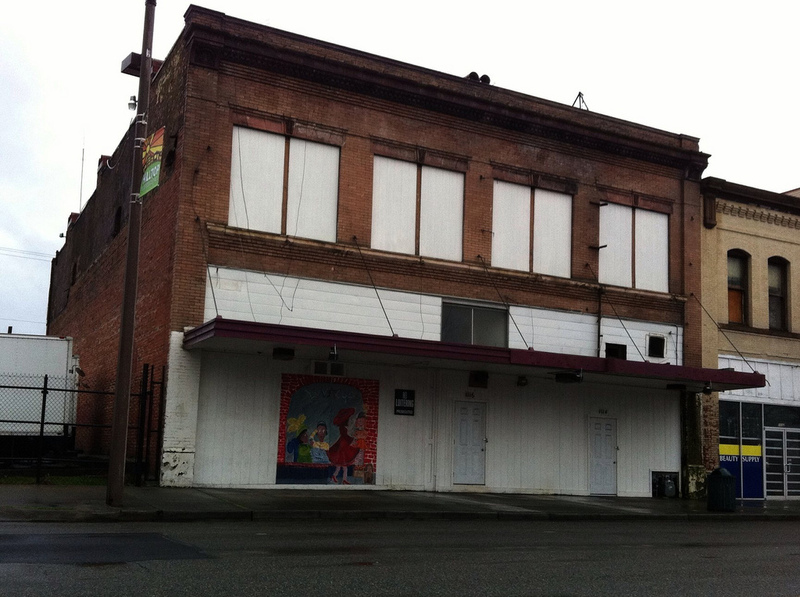 This entry was posted in Historic Sites, Tacoma, Their future is in question, WA State - Pierce County and tagged Browne's Star Grill, Hilltop, Kellogg Sicker, Martin Luther King Jr. Way, mural on February 17, 2012 by admin.